This time of year we go through a lot of bedding in our coops! Not only is our population at its yearly peak but with summer rains we're often shoveling out clean coop litter simply because it's wet. We use wood shavings in some coops, but hay and straw in others. That can add up to a lot of stinky bedding to get rid of. So how do you get rid of all that chicken poop? Dispose of the chicken poop by putting it in the compost pile. It's full of both the browns (litter like wood shavings) and the greens (poop) you need to build a good compost, so into the compost bin it goes! With the right additions you'll have black gold in no time. Plus the chickens will start digging through for anything they missed and turn it for you. Here's How to compost chicken poop from Hobby Farms. Be polite, bag it up so the retrieval guy doesn't get covered. 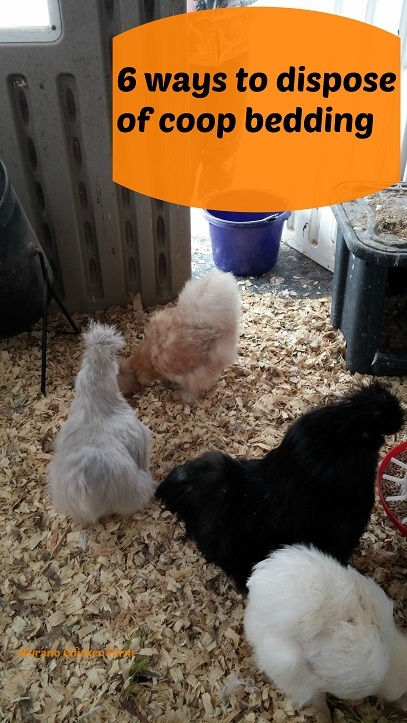 For very small coops or flocks that live in the city, this litter disposal method might be the best option. Gardeners will pay for chicken fertilizer even though they have to compost it themselves. Believe it or not, lots of folks are doing it and boy was I surprised to find that out! 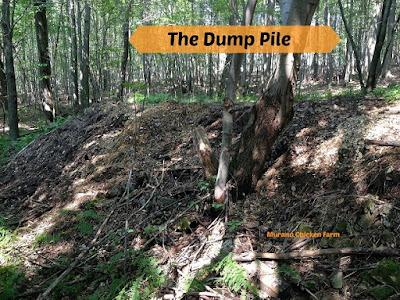 We have a dump pile about 100 yards back in the woods (on our property of course) When we clean the 12 X 20 coop it has to go there. There's just too much! Make sure there are no eggs or anything else to attract varmint. As the years pass I've noticed the pile does not get bigger though we continue to use it. Nature breaks it down for us. Now I'm reasonably sure chipmunks and such eat any seeds left behind, but it turns into a beautiful rich compost all on it's own back there. Which is another reason why it's so far from the coops, to keep the critters way back there. Of course it has to be dry for this (and I stand downwind) This works best for rural homes using straw or hay litter. This is an excellent way to get rid of coop litter if you've had any problems with mites or lice of any sort. You wouldn't want to compost that stuff. Can be done with wood shavings, straw, newspaper or hay, it just takes a little bit more wood to get/keep the fire going if it's particularly dirty. Or just use a Burn Cage. Admittedly you can only do this after your final harvest in Fall and up to about 3 months before your first planting in Spring. 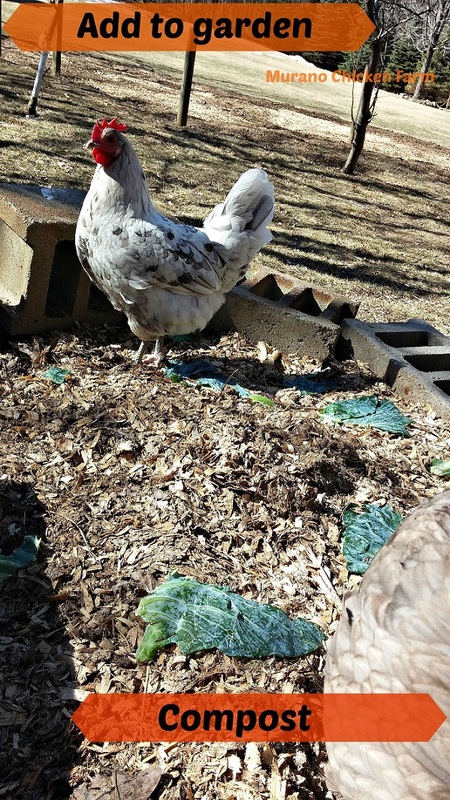 If you use coop bedding on the garden when the chicken poop is too fresh, it could over-fertilize the soil and burn the tender plant roots. 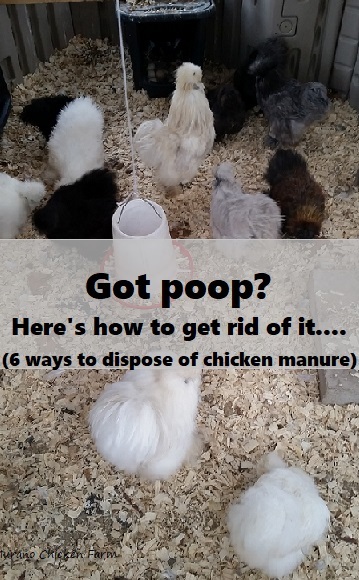 Well, there you have it, my top 6 ways to get rid of all that chicken poop! What do you do with yours? Want to know more about choosing, using and cleaning coop bedding? Click here for my other posts on coop bedding! Your chickens are cute! 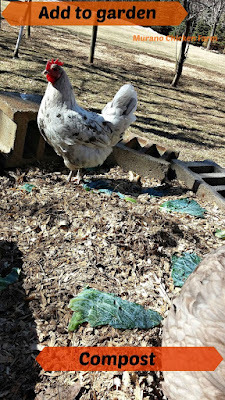 Great tips for disposal, mine free range and their coop is mobile so thankfully that's one less chore around our farm. So I guess disposal just works back into the land as the roam the farm. Rain is a huge help! If I had some, we would compost it for sure. I like your idea of making it available to other gardeners though. Maybe community gardens or school gardens would appreciate the donation! Thank you for sharing on The Maple Hill Hop! If we had chicken we would compost it. I know our neighbors with chickens do just that and it works well for them. Thanks for linking up to the Tuesday Garden Party. I have done all of these at some point.